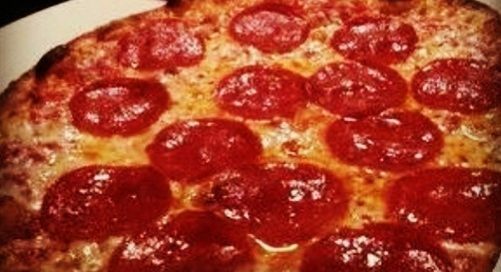 Hot Pizza Deals in Allen TX! 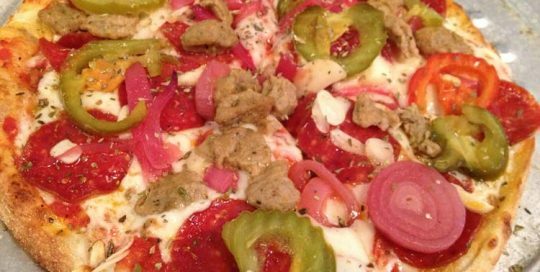 A special blend of Italian meats and cheeses, fresh vegetables, and our famous Honey Blonde beer crust used to create your made-to-order Wood-Fired Brick Oven Pizza. Baking time is approximately 15 minutes. Choose from any one of the signature wood-fired brick oven pizzas on TwoRows menu and get another one FREE. 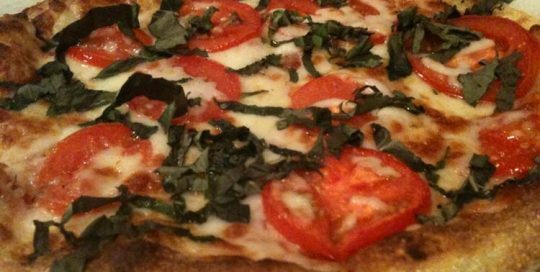 Choose from any one of the Wood-fired Brick Oven pizzas on the TwoRows menu and pair it with a side salad just the way you like it. Add Ranch or Garlic Butter / .50. Add a House or Caesar Salad / $4. 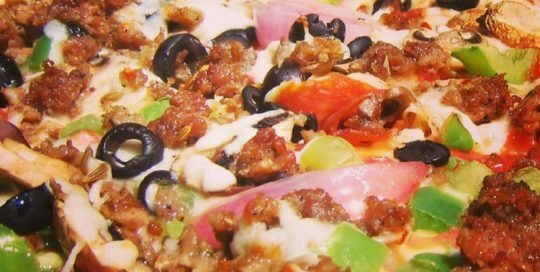 Gourmet pizza sauce, pepperoni, italian sausage, red onions, green bell peppers, mushrooms, black olives, and mozzarella cheese. Crushed tomato sauce and sliced tomatoes with fresh garlic, fresh basil, mozzarella and Parmesan cheeses. 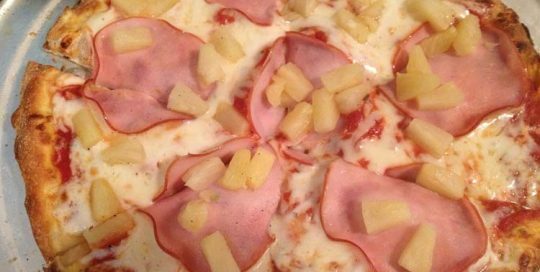 Gourmet pizza sauce, pineapples, Canadian bacon, mozzarella and Parmesan cheeses. Gourmet pizza sauce, mozzarella cheese, pepperoni, hot Italian sausage, caramelized onions, garlic, oregano and hot cherry peppers. 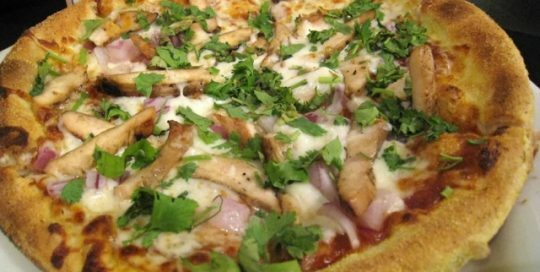 BBQ sauce, grilled chicken, red onions, fresh cilantro, and mozzarella cheese. 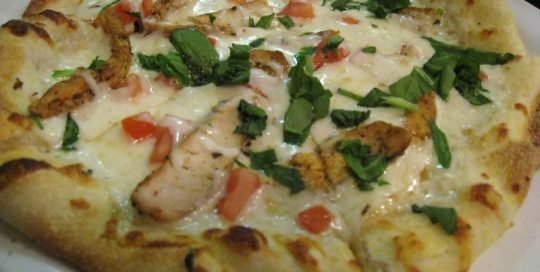 Alfredo sauce, blackened chicken, fresh spinach, sliced tomatoes, Parmesan and mozzarella cheeses. 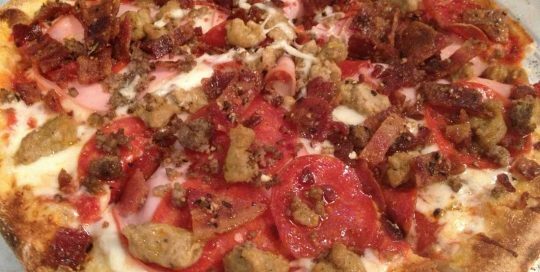 Gourmet pizza sauce, mozzarella cheese, Italian sausage, ground beef, pepperoni, Honey Pepper Bacon™ and Canadian bacon. Gourmet pizza sauce, pepperoni, and mozzarella cheese. 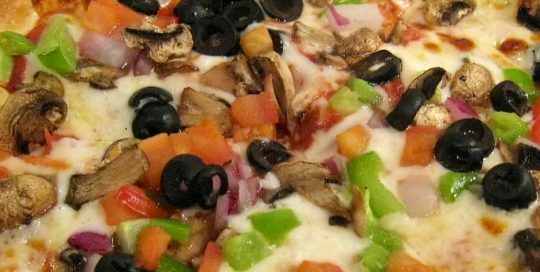 Gourmet pizza sauce, green bell peppers, zucchini, black olives, sliced mushrooms, tomatoes, red onions, and mozzarella cheese. Wood-Fired Brick Oven Pizza	Overall rating:	4.7	out of 5 based on 338	reviews.